Winter is here. Whether you love it or hate it, the season of snow is almost upon us. This means snow removal will be needed sooner rather than later. 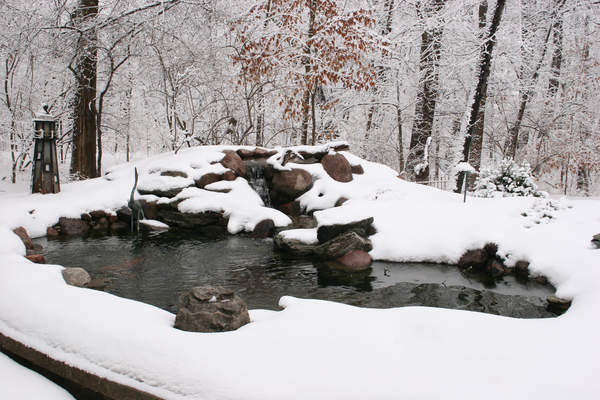 When there’s snow in tow, you may need the help of your favorite Olathe landscape company to help you or show you the way. 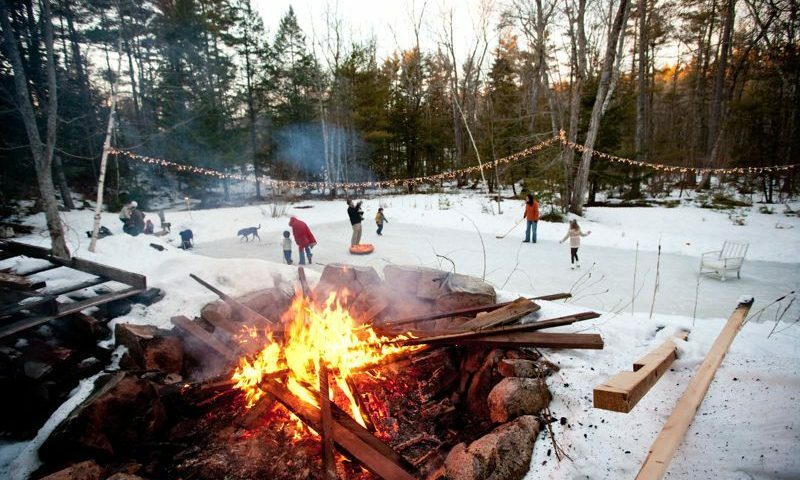 We strive to make your winter wonderland livable after a big snowfall. We also understand that many just want to get rid of the snow on their driveway after a storm. Many times it will only be an inch or two and you just want to make it go away and get on with your day. First and foremost – be safe! There’s no reason to run around injuring yourself by trying to clean a foot of snow off your driveway, especially if physical fitness isn’t your forte. A large amount of snow gets heavy, and you can hurt yourself trying to move it with just a shovel. There’s no reason to shovel snow twice or three times. Don’t move snow into piles in the driveway and then into smaller piles off the driveway. Immediately move the snow off of your driveway. This will allow you to avoid overworking yourself. Just don’t do it – don’t move snow twice. If you’re going to shovel snow, then you need to get a great shovel. You can cut your snow shoveling time and workload if you get the proper shovel. Head over to your local hardware store and have an expert help pick out the perfect shovel for your needs. If you want to make snow shoveling harder than it already is, then try to shovel snow into the wind. You’ll end up doing double or triple the amount of work. Instead, work with the wind. Start on the side of the driveway the wind is coming from and let the breeze work for you – not against you. It’s almost here. Fall is winding down. Leaves have fallen, and it’s almost time to get out the snow shovels and blowers. There’s no telling when a few inches of white powder will cover our lawns. It could be tomorrow, or maybe a month from now. As Olathe landscapers, we understand that the winter months are not the kindest to your plants, flowers, and landscaping. You need to properly prep in the fall to ensure your lovelies stay lovely throughout the long, harsh winter. Clean It All: As the months get colder, debris tends to accumulate on your lawn. Leaves and other debris end up sitting on your lawn and landscaping for far too long. This leads to no sun reaching the grass and plants beneath. This is not what you want. By constantly keeping your lawn clean and free of debris, you give the grass a good shot of staying healthy longer. Mulching Maniac: Right before winter is one of the best times to focus on mulching, as the mulch acts as a shield against harsh winter weather. Add 2 inches of mulch to all your planting beds. It’ll look nice over the cold months and give the plants below a shot at survival. Protect Your Home & Plants: You need to prepare your home and plants. Protection is more important than fixing a disaster. Check your sprinkler system, make sure your pipes, water valves, hoses, and more are all ready for winter. Fertilize Fruits: If you want your fruits to be blooming in the spring, then you need to give the fruit trees and plants on your property some love in the winter. Make sure you fertilize your fruit plants and trees in the late winter – and they’ll be blooming like crazy in the spring. Evergreen Energy: If you have evergreen trees, then you know how stunning they can look in a winter landscape. Evergreens look amazing covered in a little snow. If you plan to do any landscaping over the next few weeks, getting some evergreens on your property could make a huge difference. Pay Attention to Bark: Snow often brings out different textures and colors than we’d normally notice throughout our landscapes. This is especially true with regards to bark. To ensure a stunning snowy texture this winter, check out the health of your tree’s bark before a winter wonderland occurs. Lighten Up: Last, but not least – winter is about lights. Christmas lights often work, but you can do so much more with your landscape lighting in this season. Try shedding a lot of light on your outdoor spaces when the days turn darker. You can use lighting to focus on an evergreen tree or create a pathway to a door.